With snow in the air and the smell of fresh baked sweets and pumpkin spice lattes on our minds, it’s time to celebrate the holidays in Hoboken again! From the traditional Christmas tree lighting and breakfast dates with Santa, to concerts and craft fairs, there are tons of great family activities right around the corner to help you celebrate the holidays. Here’s a quick list of some of our favorite holiday happenings in and around Hoboken this year. Join our friends from Romparoo at the Hoboken Pop-Up Library for a fun filled day of music, creativity, stories, and laughter. Kids will have the opportunity to let loose and express themselves through singing, or by using one of the many instruments they provide during their musical jam. Then, they can fully explore and enjoy the rhythm during an energetic dance session! Afterwards, they will finish up with a fun winter themed craft, and settle down for story time and a puppet show! 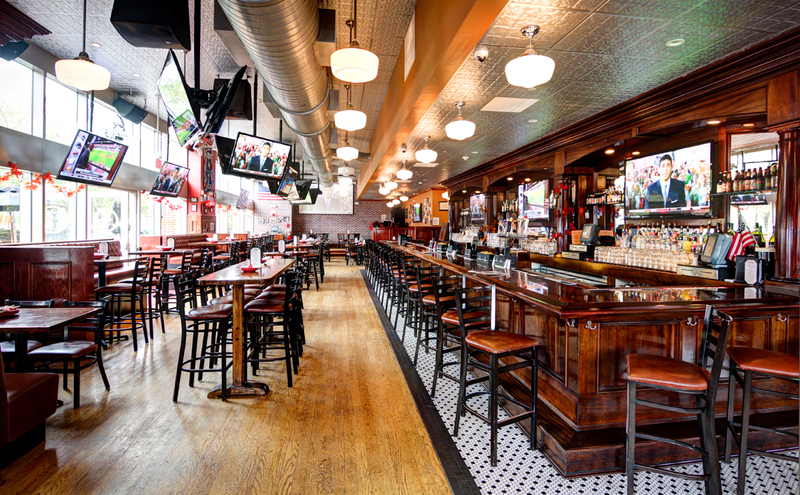 Come down to Wicked Wolf Tavern this year and have breakfast with Santa! Enjoy a great arts and crafts session and create some great holiday keepsakes. Then, reserve a table and sit down to enjoy the delicious breakfast buffet until the man in red himself stops by for a bite. While he’s there, don’t miss your opportunity to tell him what’s on top of your Christmas wish list and get your picture taken! Hudson Community College’s annual Holiday Market features beautiful handcrafted gifts from local artisans. This craft fair is not only a great place to pick up any last minute gifts on your holiday shopping list, it is also a great place to bring your family and enjoy wonderful holiday festivities. Holiday book re-enactments will be sure to bring the story to life for any audience, while the magic show will mesmerize, and the puppet show will entertain with laughs galore. Children can even get their faces painted, pick up a balloon animal, and take a selfie with Santa! HOPES aims to bring families in the community together with family friendly activities that encourage community outreach. 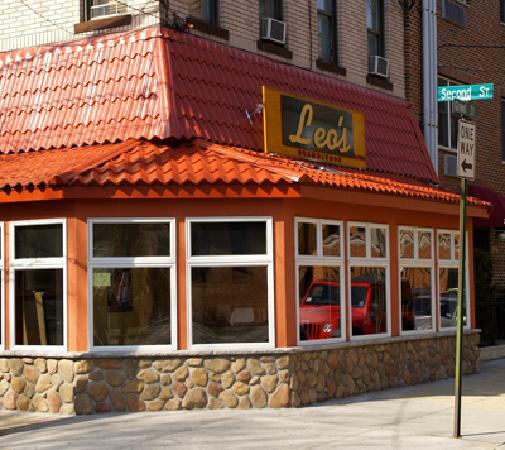 Their bi-monthly community game night brings families from all over Hoboken together to enjoy a variety of fun filled games that strengthen familial and communal bonds. Join the other families in your neighborhood and enjoy a classic game. They encourage whole family participation, so this is a great place to gather young and old this holiday season for a celebration of family and community involvement. See the fireworks around New York as you’ve never seen them before on one of these luxury cruises. There are several family friendly cruise ships with many amenities that will be sure to delight children and adults alike. The price tag on this event might be a little higher than the rest, but if you’re looking to do something extravagant this holiday season, a fireworks cruise is an unforgettable way to ring in the new year! No matter how your family likes to celebrate, there is sure to be an event in Hoboken that will help you and your little ones get in the holiday spirit and learn all about the magic of the holidays. 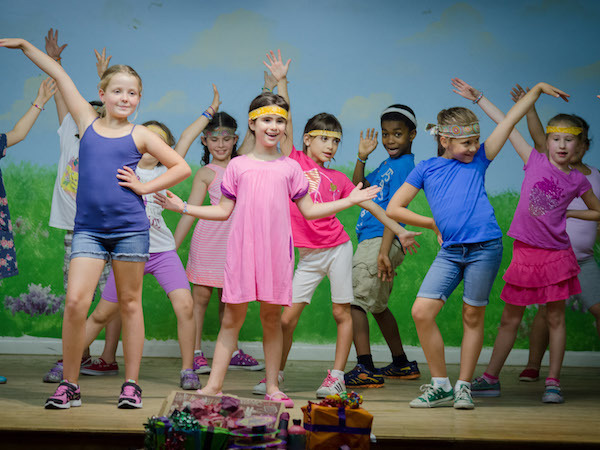 Brave Bright Theatre Kids is an improvisational theater group for kids in Hoboken. Stressing creativity and expression, the group has a great reputation for building confidence and self-esteem, especially among shyer kids. Parents rave about the difference they see in their children after just a few classes. Public libraries are a staple after school location and local meeting place for any community and the Hoboken Public Library has a great reputation for being safe and kid-friendly, offering homework help and a full calendar of kids programs. Rainy and cold days are especially great for book browsing. Little City Books is a beloved local children’s bookstore and one of the few places where you’ll be proud when your child begs you to buy them something. 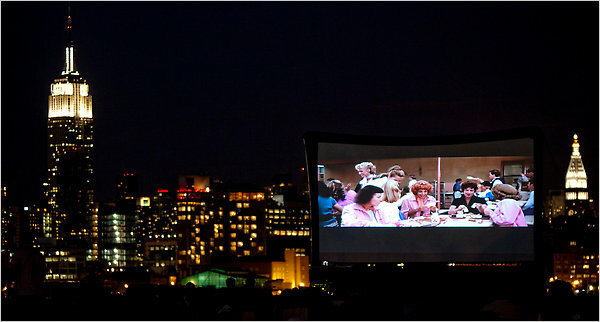 With almost 20 different parks, Hoboken is a great place to live when the weather’s nice. 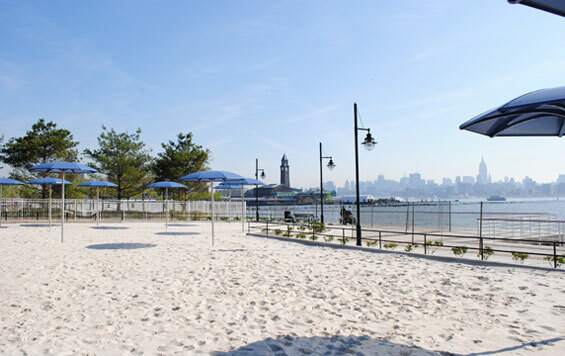 Pier A, Pier C, and Frank Sinatra Park are unique spots to bring your kids to play after school, known for their gorgeous views of the NYC skyline. 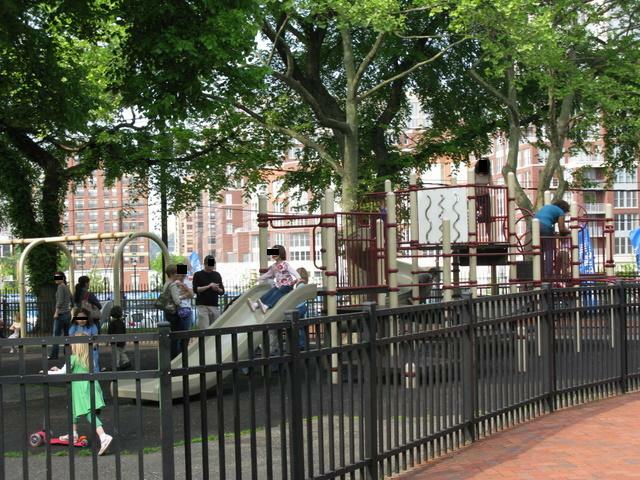 Columbus Park, located slightly more inland, is also a great option and has two fantastic playgrounds. Play frisbee, bring the dog, or just sit and people watch. Learning an instrument takes a lot of practice and many kids tend to lose focus with classical instruments like piano and violin. 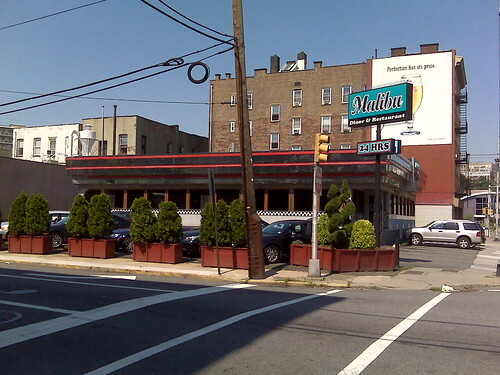 Luckily, many teachers in Hoboken offer instruments that will be more familiar and exciting to most kids like drum lessons at The Drum Den. Another local shop that also offers rock n’ roll instrument lessons is Guitar Bar, but classical instrument options are also available, as well as banjo and voice lessons. 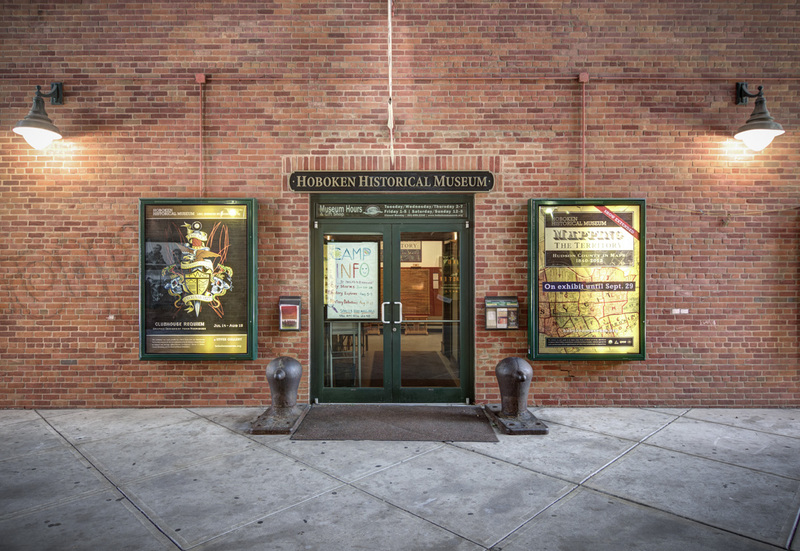 Going to a museum may not be the first thing on your mind after picking up the kids from school but The Hoboken Historical Museum is actually a great after school option. It’s open until 7pm Tuesday to Thursday, it’s free for all children, and it has great educational programs for kids of all ages. The Hoboken Fire Department Museum is also a part of the historical museum. Especially exciting for little ones, kids have the opportunity to sit in the driver’s seat and ring the bell of a 1930s fire truck. 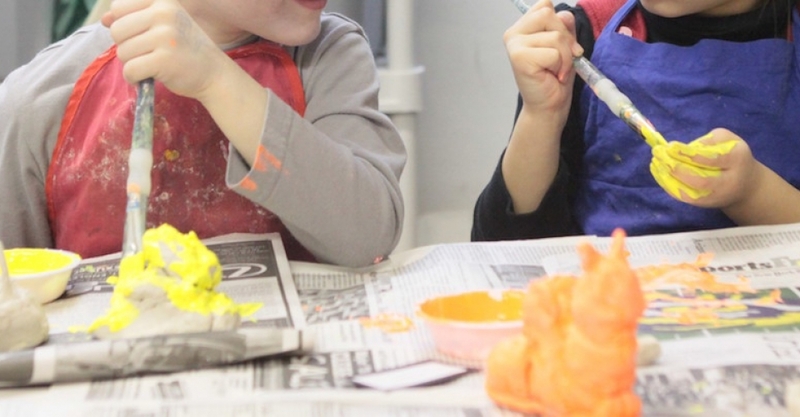 Tessa International School in Hoboken has a range language immersion classes as well as other enrichment skills and activities, all conveniently in the after school hours. Contact Us for more information.